Legendary Blood is going to smash Russia! Continue reading Legendary Blood is going to smash Russia! Continue reading Grind Over Europe! Continue reading New noise from Lordgore! Blood is going to destroy Moscow! Continue reading Blood is going to destroy Moscow! Continue reading Meatknife is preparing for tour! More info/pre-orders at Night Rhythms prod. Continue reading New longsleeve of Rawhead! Splatter Zombie Records is celebrating 5th anniversary! To thank you and to celebrate, you get 20% discount on everything available in the webstore until february: www.SplatterZombieRecords.com Continue reading Splatter Zombie Records is celebrating 5th anniversary! New EP from nasty Boneyard! Out soon on Diablos Records! Continue reading New EP from nasty Boneyard! 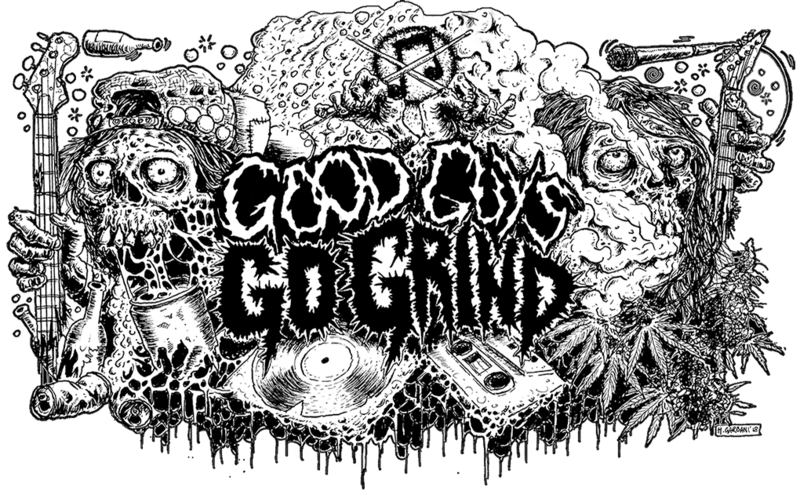 These Houston monsters of Grindcore mayhem refuse to settle for anything other than pure, unleashed Grindcore (Naplam Death/Carcass) tinged with a raw death metal punishment of classic Kreator. This new recording devastates with whirlwind, raw guitars and guttural puking vocals by founding member Dave Callier. Bryan Fajardo‘s precise, jaw dropping attack on the drums delivers as always, melting ears and stirring a sense of pure awe at his talent. One of the best in extreme music. This band relies on an absolute dedication and love for the genre. Truly one of the best going, and likely, one of the best … Continue reading P.L.F.‎- Jackhammering Deathblow of Nightmarish Trepidation! CD version! Texas grinders Daggra just printed a bunch of great shirts! You will find more info at their official fb page. Continue reading New shirts from Daggra! ENT and Desecration are going to burn Ukraine! This winter two legendary bands will visit Ukraine for the very first time! Extreme Noise Terror and Desecration will destroy Kiev and Kharkiv. We will be there to document the monstrous live performance first hand! Join us in this crusty mosh pit! The tickets are HERE! Continue reading ENT and Desecration are going to burn Ukraine! East West DeathGrind Fest 8! Continue reading East West DeathGrind Fest 8!